Swingin’ Summer Thursdays will be taking place this Thursday from 6:30PM-9:30PM! The ever so popular downtown street festival offers great food, live music, clowns, dancers, and much more. This month Jazz is the theme with Venom Blues and TONEY. The event is located on West Gay Street Between High & Darlington and is FREE for the whole family, See the complete summer line-up by visiting http://www.downtownwestchester.com. Also, start the weekend off right with First Friday in Downtown West Chester! This Friday, August 2nd, Downtown shops will be open late offering specials, new items, and refreshments. 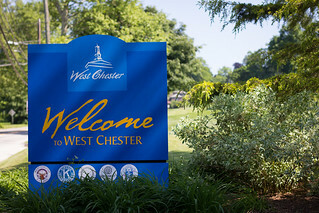 It’s the perfect time to come to Downtown West Chester and see what’s new and cool!